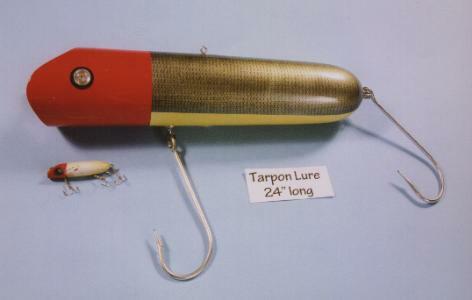 This is an old time tarpon plug. Very unusual scooped out front and large single hooks . Specifically made for the "silver king".